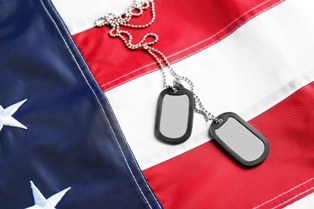 If you are an active duty member of the military or a mobilized reservist, thank you for your service. Your willingness to serve our nation is admirable and the sacrifices you have made are greatly appreciated, especially by this Marine. As a veteran of the war in Iraq and a Colonel in the Marine Corps Reserve, I understand how hard it can be to manage legal and financial issues at home when you are away serving your country. As an attorney, I have made it my mission to help servicemembers understand and exercise their rights under the Servicemembers Civil Relief Act (SCRA). How Can the SCRA Help You? Eligible for a reduced interest rate on any pre-service loans to a maximum of 6 percent. This applies to car, home, or student loans as well as high-interest credit card debt. Protected against default judgments in civil cases. While on active duty, you cannot be penalized for failing to appear in court when you are being sued. Protected against foreclosure on your home. The bank cannot take your house without a court order while you are on active duty. Protected against repossession of your property. In most cases, the repo man cannot pay a visit while you are on active duty without first getting a court order. Able to terminate residential housing and automobile leases without penalty. Under certain circumstances (like PCS or deployment of 90 days or more), you can terminate an apartment lease or car lease without penalty and get back any of your pre-payments. Are you surprised to hear some of this? Have you or your spouse already been dealing with one of these situations? Fight back with an experienced consumer financial protection lawyer on your side—one who has been where you are and understands your struggle. Call me to talk about what’s going on. I’ll be honest about whether I can help. As with anything, some exceptions do apply, so don’t try to handle this on your own. You already have enough on your plate. Contact me online or call me directly at 415.802.0137 right now to get started fighting for your rights as a member of the United States military.